Todays card is a Birthday card complete with balloons but still a superhero make. The balloon punch is such a great product to have in your stash and balloons are always there for happy events. Just mood lifting. This is just a fun card. I'm going to make a couple of similar ones with the girl superhero. I'll show you those next week. If you do shop on line and your order is over £25 please use the hostess code for April. 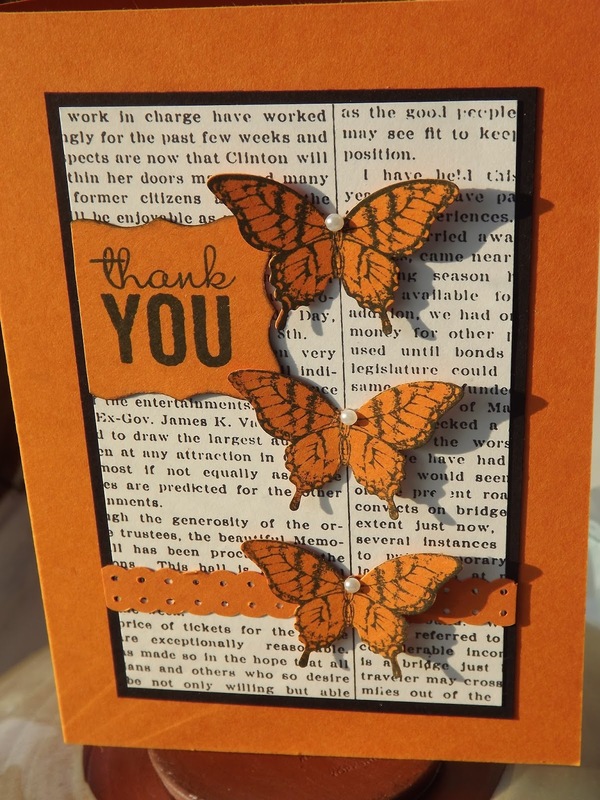 Then in May I will send you a small Stampin'Up gift bag as a thank you. This is another set from the Spring Summer catalogue that is one that will stay in my collection for a long time. Everyone knows someone they would crown as a super hero. 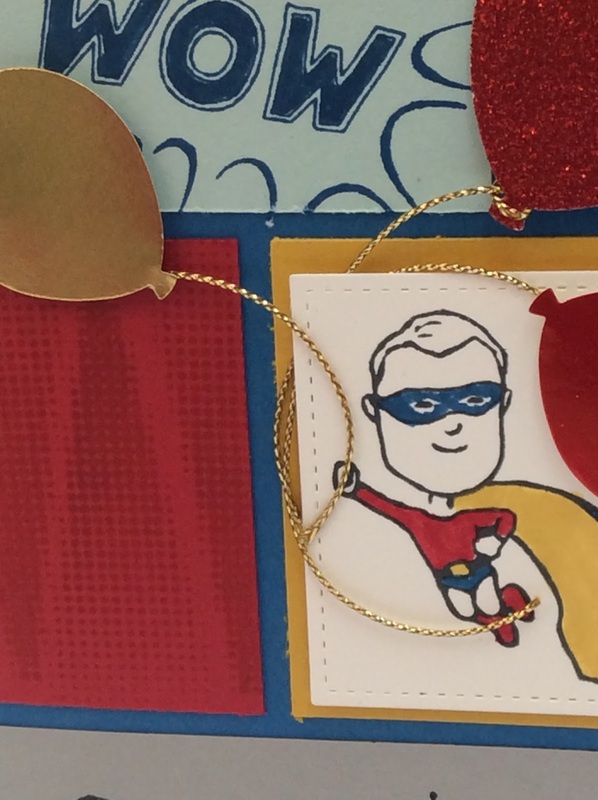 Plus how many children love dressing up as their superhero, birthday cards to match are such a fab idea. So who would you send this to? 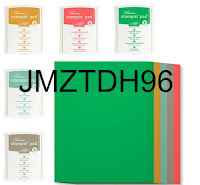 I started with the wall embossing folder. I then daubed the raised pieces with 'Smokey Slate' The hoses are stamped with momento black then fussy cut. I have coloured some of the windows with gold wink of stella. Using the largest of the circle stitched framelits for the white circle I have daubed the edge with smokey slate again just as far as the stitched line. The superhero is stamped and coloured with marker pens. Who do you know that would love this? If you do shop on line and your order is over £25 please use the hostess code for April. 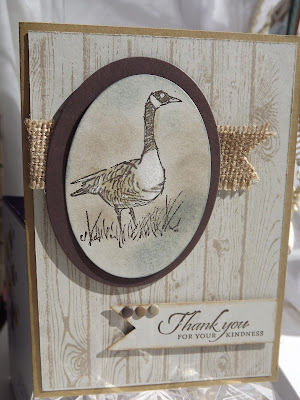 Then in May I will send you a small Stampin'Up gift bag as a thank you..
A special offer from me here today and this is something I have never done before. I bought this lovely tin of cards last June but I have never made it up. Last night whilst I was looking through the list of stock that is no longer available I noticed these where still IN stock but at a very reduced price. 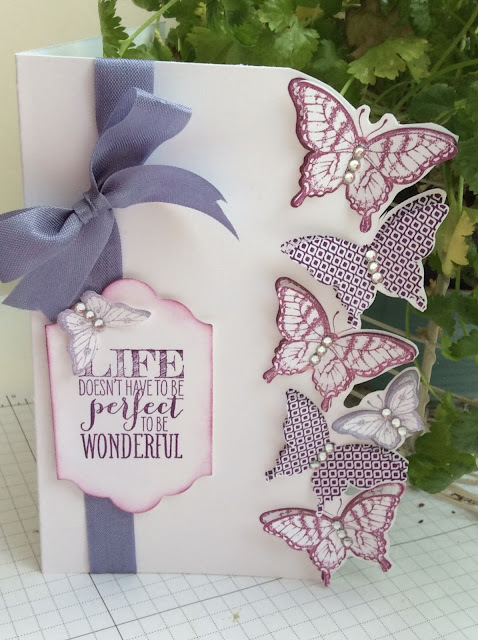 They have been reduced by nearly £10....... Order one of these sets from my online shop - I will offer a free class for you to come and use the stamps to make up the kit. 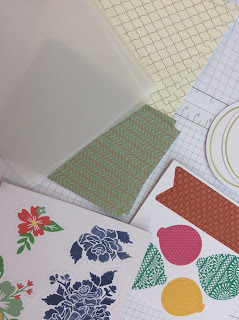 This is a great introduction to paper crafting. 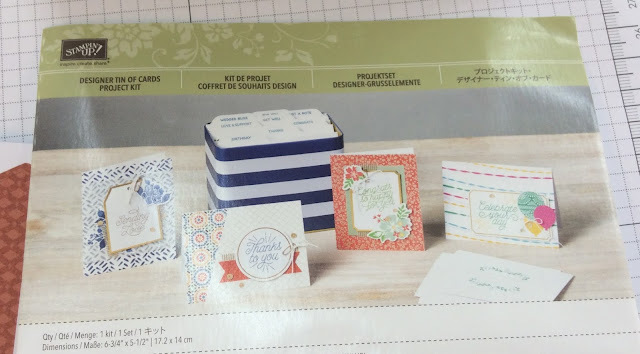 You could use any stamps to complete the cards but the matching stamp set is really pretty. This would be a fun evening for a group of friends. BYOW (wine) I'll supply the nibbles. Message me to arrange. The tin and file tab inserts. These are the card bases, such a lovely range of coloured prints. 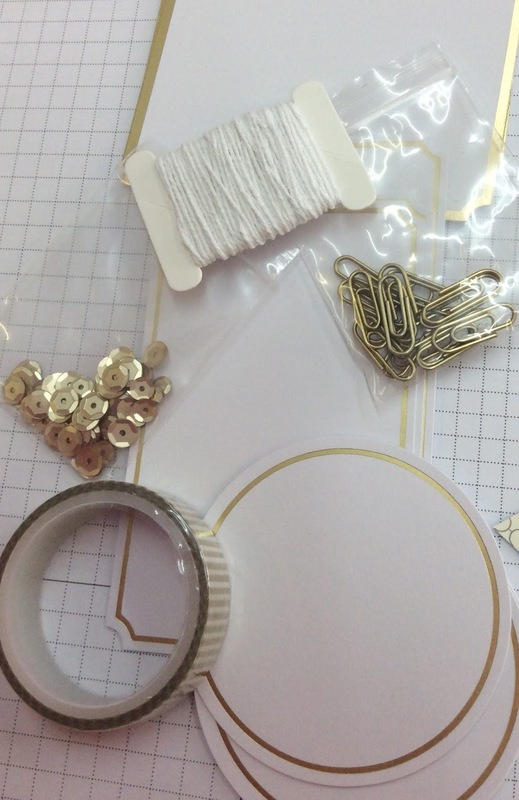 These are the die cut accents. 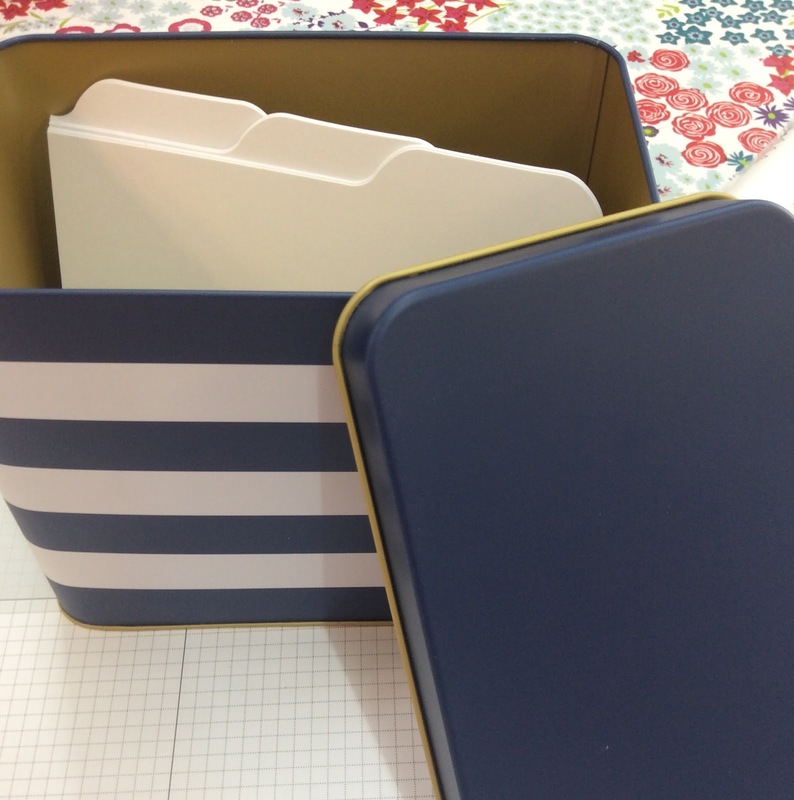 And finally the tin with the file tab inserts. To complete the project this is the stamp set, this is not included in the kit. 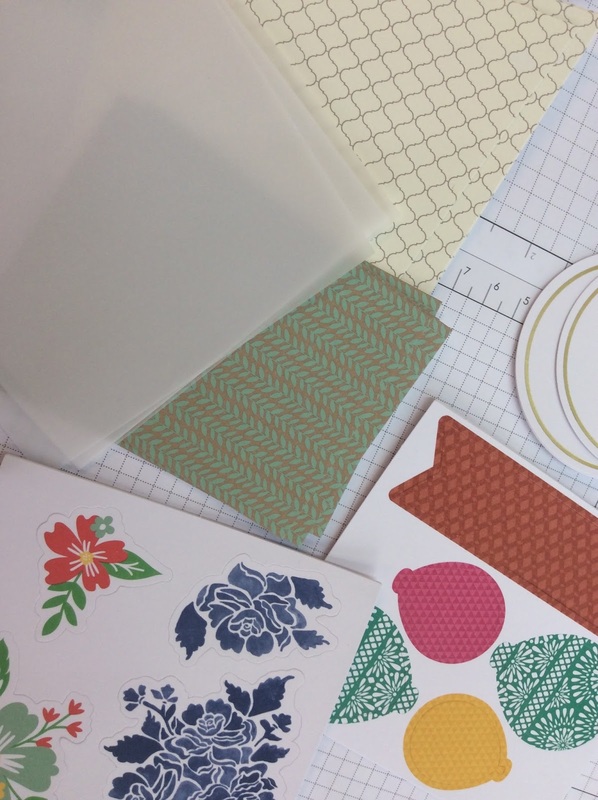 But book an evening class for 4 to make up the kit, use my stamps and ink. £15 per person. Message me before the diary fills up. The kit in the tin is reduced to £14.50, it would make a wonderful gift. 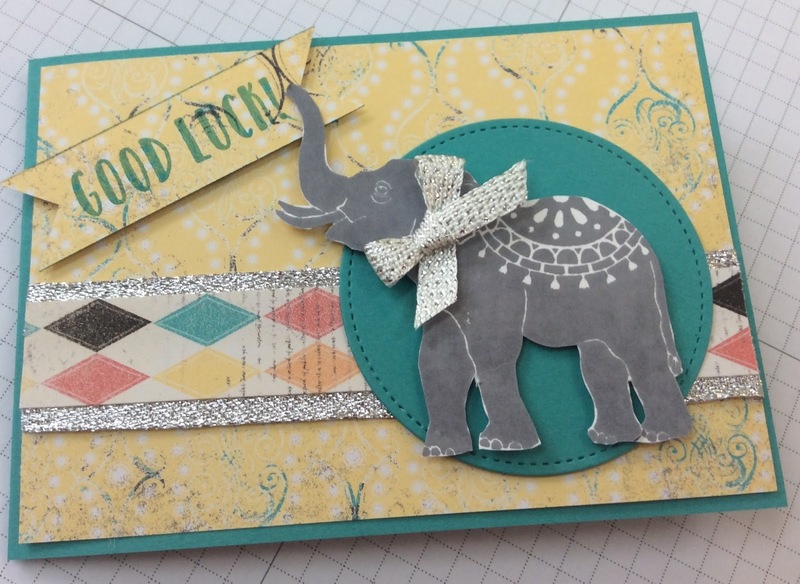 Yes I have another 4 cards using the elephant stamp. These were all made in one session, last Monday morning. I now have a bit of organised stamping where every Monday morning I make 4 birthday cards and 4 thank you cards with the same stamp. Having made the 3 cards for class last Monday with this stamp I thought it would be a good idea to make my 4 thank you cards with it. Also using this technique wold have been wasteful making just one card. Its a technique I don't often use, we have done it in class before and I am always surprised by how different the cards can look. 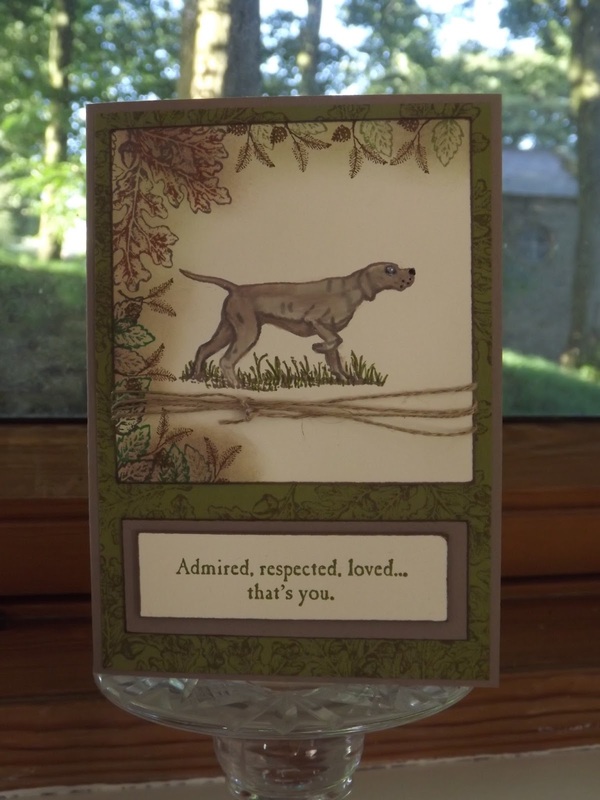 For these cards I have used Wisteria Wonder, Elegant eEgplant and Tempting Turquoise re inkers and the wet wipe technique. Also someone has pointed out to me that the re inkers go up in price by 25p per bottle in the new catalogue and if buying the packs of 10 colours up by £4.25. So if you are needing a set or a couple of individual colours I would buy them now or before June 1st. Back to my cards. What do you think of the colour combo? I love these lace doilies from the spring summer catalogue, they are white on one side and cream on the other, but so delicate. The ribbons are from my stash! What other colour combinations would you use. Please use this hostess code if you spend over £25 in my online shop. 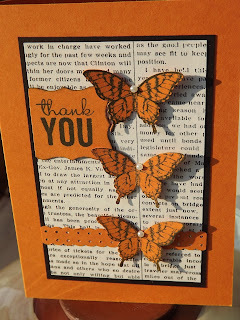 Then in May I will send you a small bag of Stampin Up goodies as a thank you. 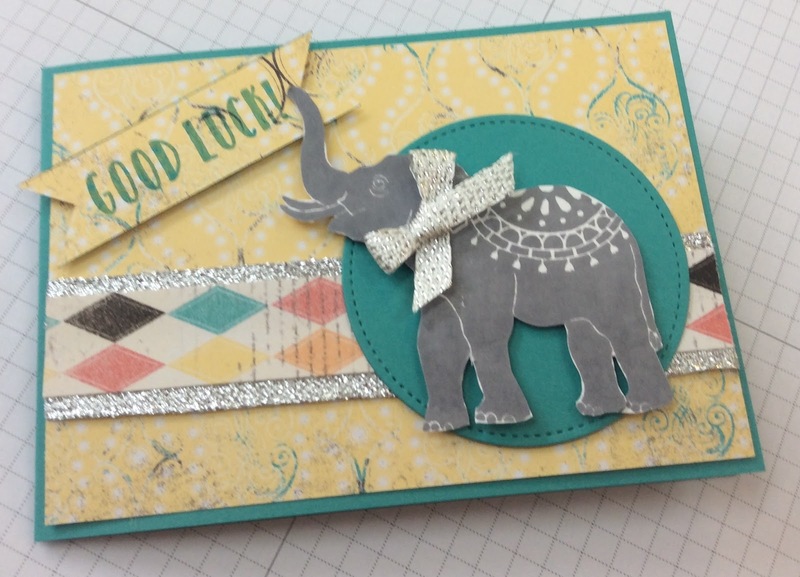 Todays card not only uses the elephant stamp but also one of my favourite designer papers. You know what its like when you buy paper you need one to stroke and one to cut into. Even then I sometimes find it hard cutting into a sheet. 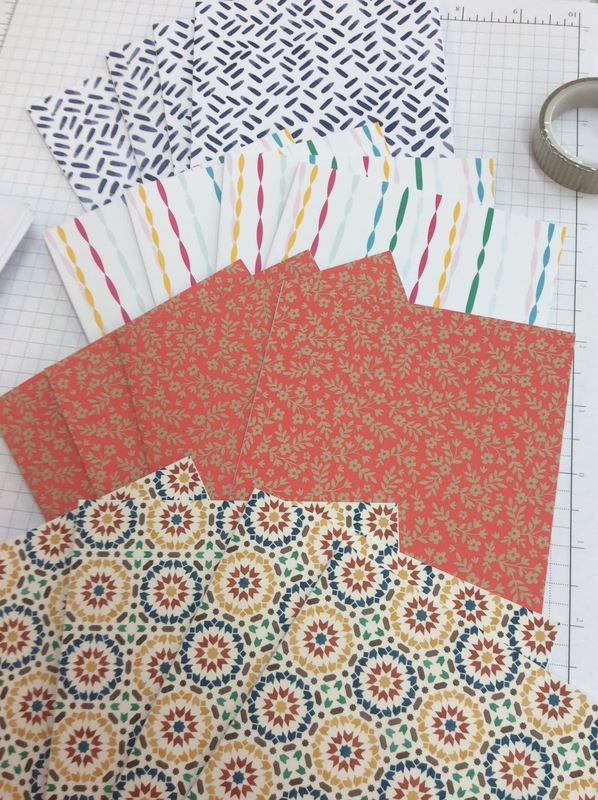 This paper is one of the small 6 x 6 paper stacks and I never get that feeling with these little pieces I just want to use them. I have discovered that the ones I like the best are the ones with very vanilla as their base rather than white. This is the 'Cupcakes and carousels'. I just love using it. Once again the card is inspired by a card found on pinterest byAngie Leach you will need to scroll down her page to find her card which she has given a pdf to make it. I didn't use the pdf and have changed a few bits but not much, I just thought it was so pretty. 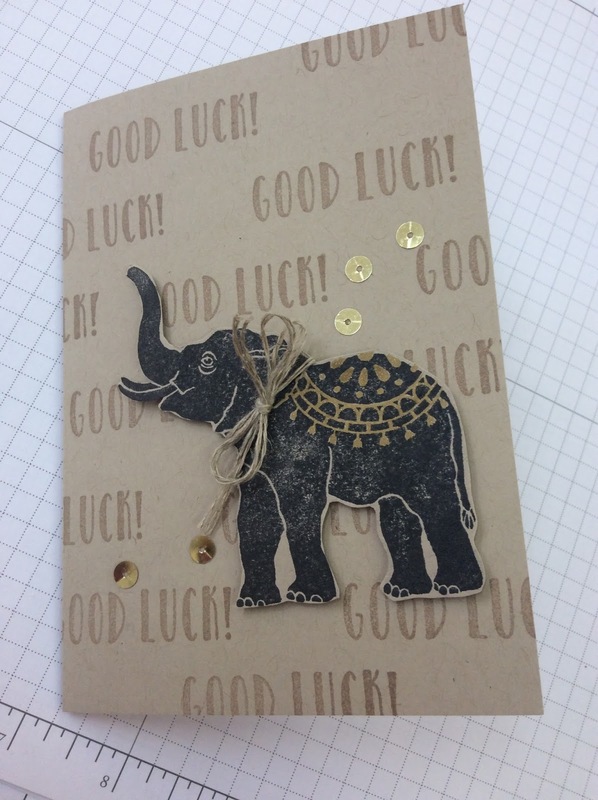 If you fancy a browse around the online shop use this link shop If you do decide to order online, firstly many thanks but also use the hostess code if your order is over £25 then in May I will send you a small Stampin'Up goody bag as a thank you. This is tomorrows class its suitable for young people over the age of eight and those who are young at heart with no upper age limit! I think this is a great make. Its been a long time since I last did any shrink plastic and the elephant works really well, strung with a few beads from the stash onto one of those little chains he looks great. For the example the bag has been stamped with the SAB stamp set but almost any stamp set could be used for the background. I would stamp the elephants first as they are the focus then the background stamps. Remember you need a pice of card inside the bag to stop the ink going through onto the other side of your bag then you can put a different pattern on the other side. This is a close up of the elephant on one side. This picture shows the bag charm. This uses the same stamp but on shrink plastic, isn't he cute. It should be a fun morning tomorrow. This is a pretty one, it looks very plain but has that ooooooh factor. Again it was a pinterest inspiration by Maggie made cards . Once a gain a little bling with the gold sequins. 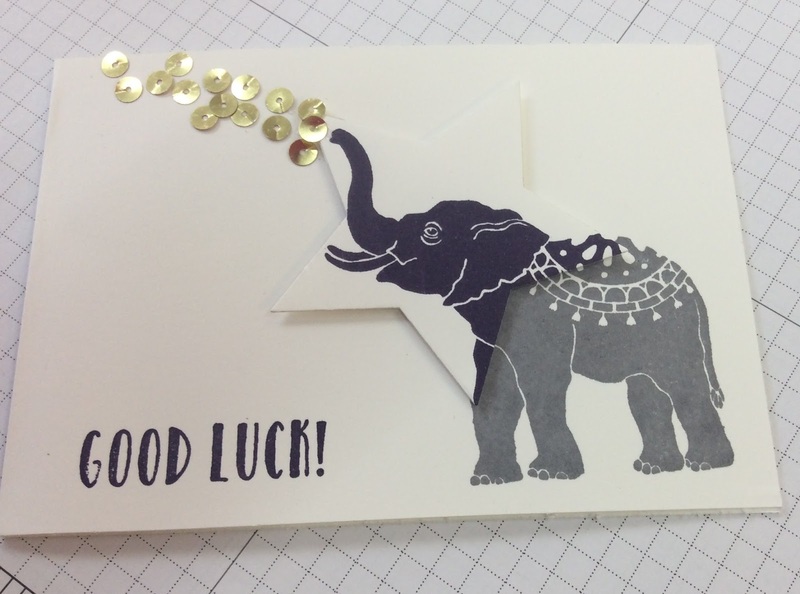 The elephants head is stamped in Elegant Eggplant then die cut with a star framelit. 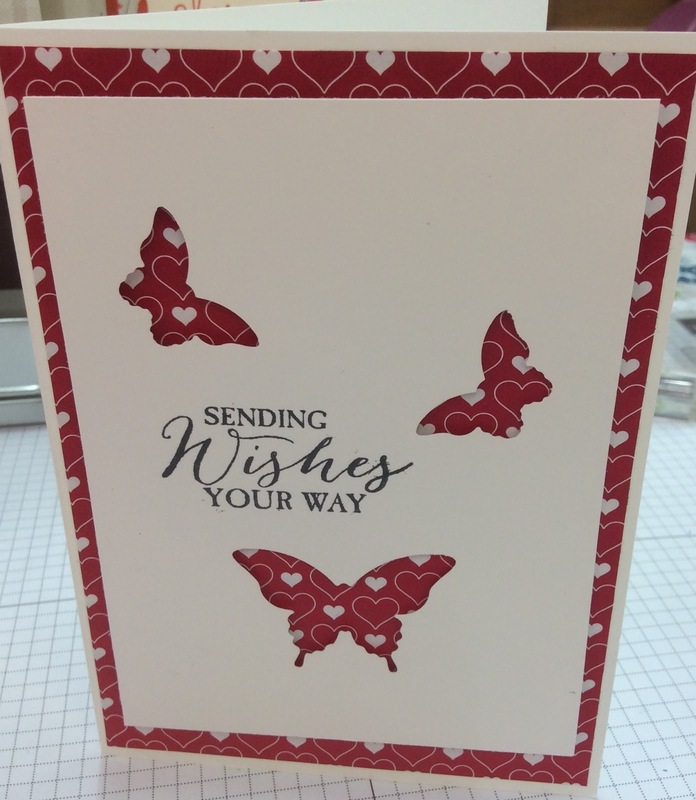 The base uses the lovely thick white card. Happy shopping everyone. The star framelits are on the retirement list and reduced from £24 to £16.80. I call that a bargain. If your order is over £25 please use the hostess code. 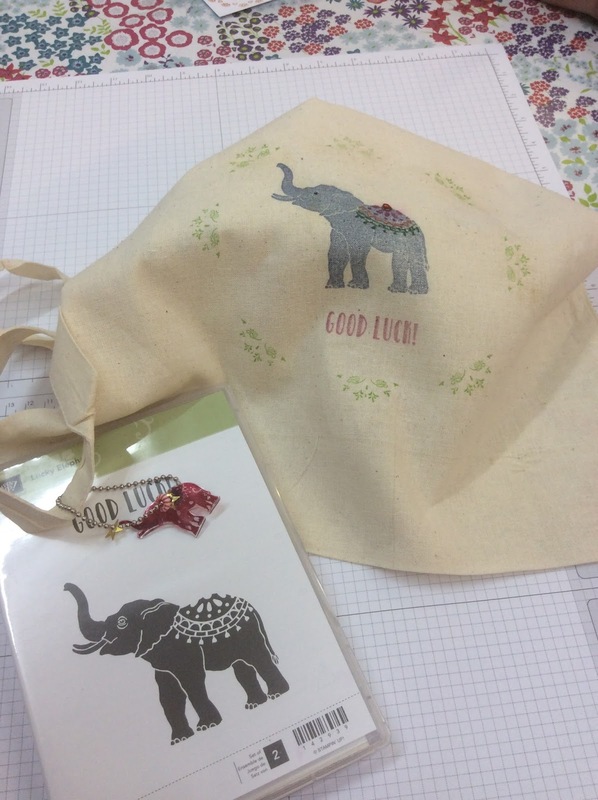 In May I will send you a small Stampin Up goody bag as a thank you. 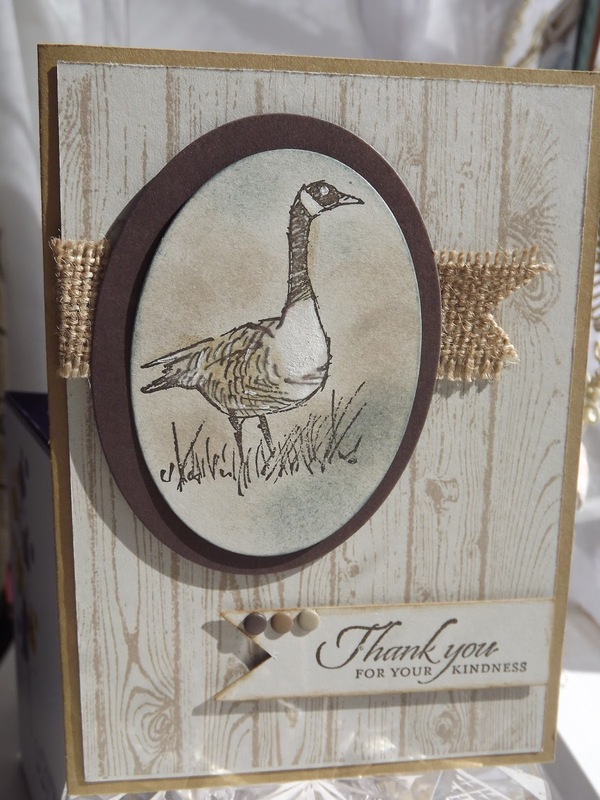 Today I have one of the cards made using a stamp from the spring summer catalogue. Its not a very big stamp and I think it is probably the one that costs the least. But I want to show you how great it is. 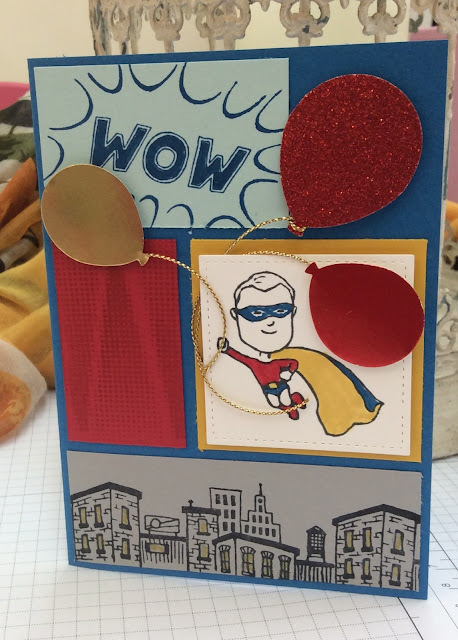 For the cards I have used pinterest for speed as I needed them for Tuesday and away from tomorrow so I have copied the shared items. The first one is from Dani Dziama I will post the other makes tomorrow and Saturday. On Friday I will share with you the tote bag and bag charm we will be making in class on Saturday. 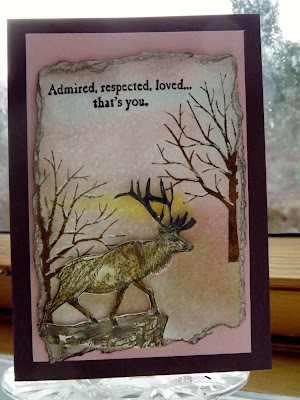 This will be the first card we make on Tuesday afternoon. Its straight forward stamping. 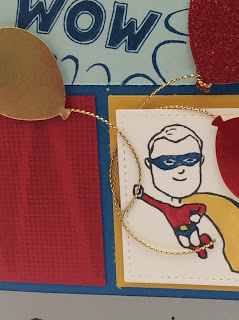 With a bit of fussy cutting, a little gold wink of stella, and a few gold sequins. The elephant is finished off with a linen thread bow. Cute isn't he. Happy shopping. The gold wink of stella is on the retirement list and is reduced in price, so grab a bargain. Remember to add the hostess code if your order is over £25. Its 6 weeks until you can order from the new Stampin'Up catalogue and its brilliant. I ve got mine, thats the privilege of being a demonstrator who attended On Stage Live. There is lots of lovely new things and my wish list as usual is very long. However this is one of my all time favourite stamp sets and its retiring. After spending a year living on a narrow boat travelling the canals of England this set brings back so many memories. This is just a very small selection....... a very well used stamp set. Don't you just love butterflies. This is another retiring stamp set and the 2 punches. I often use the punches just to add a little 3d to my cards. 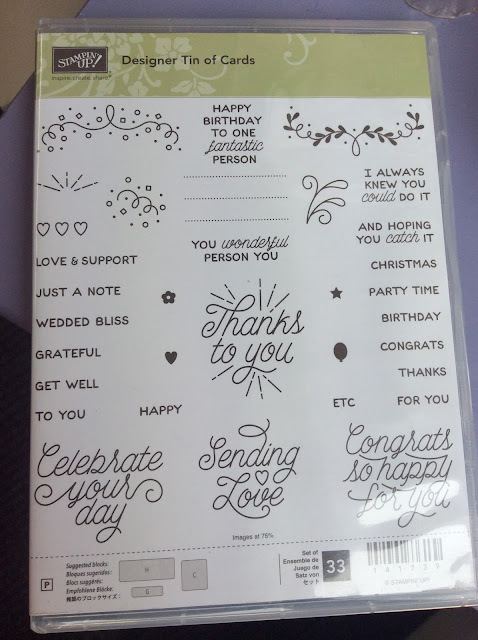 This was another buy early in my association with Stampin'Up. And the small punch does the wings for the fairy stamps which are not on the retirement list, so more reason to get the small punch! I am sorry to see so many of the 'nature' stamps retire. Although I have used the wetlands stamp much more than this one. The deer in this set does lend itself to some lovely makes in 'the' season. Only last week I had an order for a Birthday Card using the dog but he had to be coloured black. Unfortunately I didn't take a picture of it. Stamp set. The wilderness awaits 139365 Happy shopping.